By Wey Lynn Liong - Events Editor · March 21st, 2019 at 5:18 p.m.
Commemorating the lives lost of the victims of the attack. In light of the devastating mosque shooting that happened on March 15 in Christchurch, New Zealand, the Muslim Student Association (MSA) held a vigil in commemoration of the 50 victims of the shooting in support of the families affected by the terror attack. The vigil was held in the UNC Theatre on Monday, March 18 at 6p.m. The seats were almost filled as many students attended to show support for their Muslim friends. 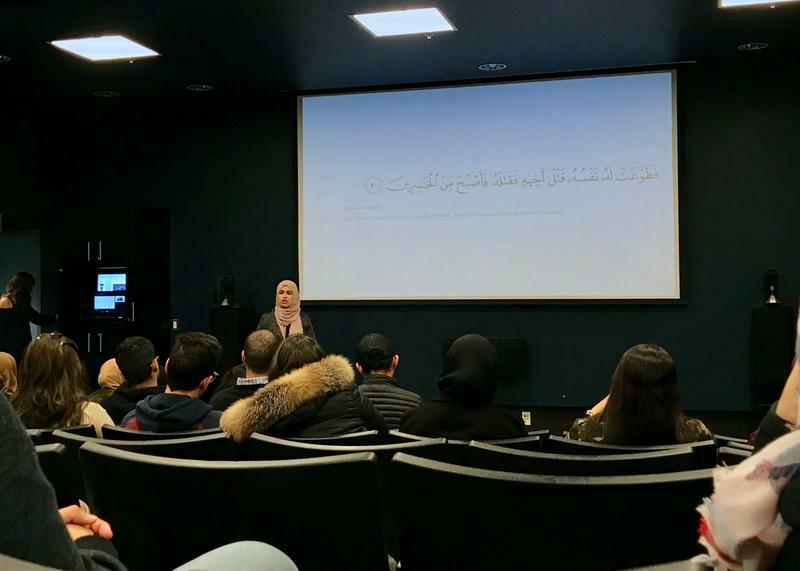 A slideshow of the victims whose lives were lost was shown on hopes of shattering the stigma around Islam and as a reminder that the victims are not just a number. Students were also given some time to share their feelings. A student from New Zealand performed the Haka to honour the victims. The shooting was particularly emotional for students who bravely went up to share their personal experiences, feelings, and fears about the horrific event. During such a vulnerable time, it’s easy for everyone to feel helpless. However, giving and receiving support from peers, regardless of race, can go a long way. If you have any Muslim friends, check up on them and ask them if they are doing okay. Help ease their fears and help them feel safe within their community.